The veteran Hollywood columnist, Bob Thomas, has died aged 92, reports the Los Angeles Times. 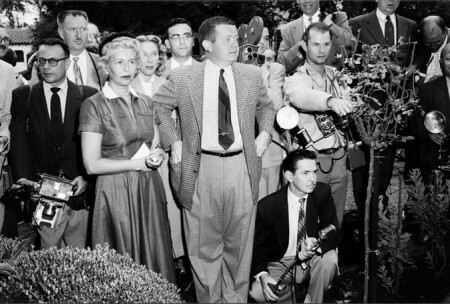 Son of a film publicist, he began reporting for the Associated Press in 1944. He married in 1947, and had three daughters. Thomas covered scandals like Charlie Chaplin’s paternity lawsuit, and witnessed the assassination of Bobby Kennedy. He was AP’s reporter for an incredible 66 Oscar ceremonies; published biographies of Harry Cohn, Howard Hughes and Marlon Brando; and was awarded a star on the Hollywood Walk of Fame in 1988. He retired in 2010. “I think cheesecake helps call attention to you. Then you can follow through and prove yourself,” Marilyn told Thomas in 1951, explaining her beginnings as a pin-up model, and her wish to become a respected actress. Crawford replied, ‘It was like a burlesque show. Someone should make her see the light; she should be told that the public likes provocative feminine personalities; but it also likes to know that underneath it all the actresses are ladies.’ On March 3, Thomas published Crawford’s comments in his syndicated column. 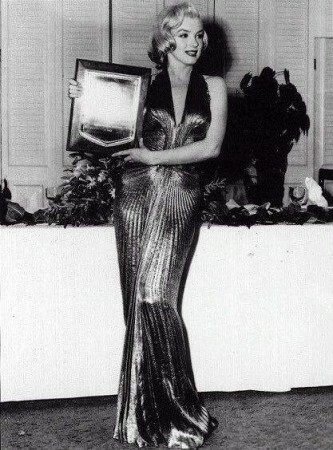 Although initially upset by Crawford’s remarks, the incident ultimately worked in Marilyn’s favour, with friends and fans rallying to her defence. Crawford, meanwhile, was acutely embarrassed. 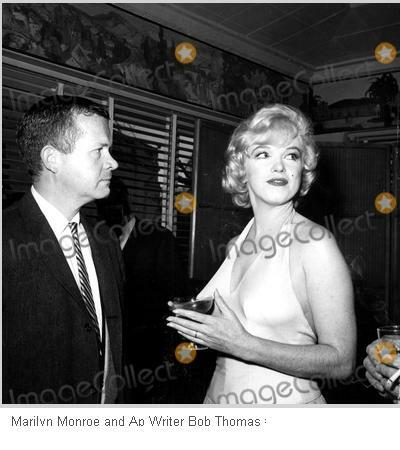 Marilyn was photographed with Bob at a press conference for Let’s Make Love in 1960 (unfortunately, my copy is watermarked.) By 1962, she was single again and back in her hometown of L.A. Thomas reported on the troubled production of Something’s Got to Give, interviewing Marilyn on the same day she filmed her iconic pool scene.